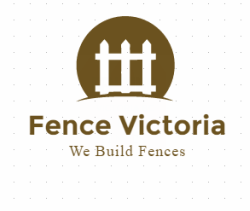 ​With quality materials and good construction a fence should last you a long time. However no matter what fence you decide to go with they will eventually need some maintenance and repair. Just like a vehicle you will need the right tools and information and you can keep that fence looking good and lasting long. A fence can look worn and stained over time. Some of the more common issues we see is mildew stains. Mildew is a common fungus that grows on damp organic material. It can be easily removed with a fibre scrubrush and mild detergent like tide. Or you can add bleach for those tough stains. Another common fence disrepair will be damage to the posts, rails, and lattice. If the fence is leaning what you need to do is stabilise the post. A high wind or adverse weather can break or destroy the fence posts. If your's are just leaning you're in luck. You will not have to replace the entire fence. Dig around the post until you reach the concrete base. Make sure to keep all that dirt so you can use it again to refill the hole later. With the base exposed straighten the post by using a level. Next you will need to get some more concrete ready to ensure the post is steady. Take the concrete mix and pour it in your wheelbarrow and add some water. Use the shovel to form the concrete compound. Work it continually so it doesn't harden in the barrow. Now attach a 2x4 to brace the fence post. This will hold the post straight while you set the new concrete base. The additional concert will provide more support to the fence post. Make sure there No air pockets. 1 inch below ground level. Check again to make sure the post is straight before concrete hardens. Once hardened back fill hole with soil and grass seed if necessary;. Lattice is thin and can easily be damaged. To replace remove the lattice by taking off the top fence rail. The lattice should easily come out at this point. Slide in the new lattice from the previous grooved area. Nail pieces of wood between the lattice fore extra support between the fence posts. Now you are ready to put the top rail back on Cut and attach the rail to complete the lattice repair. To replace rails on your fence is a little bit more work. You will have to remove each fence post so that you can completely expose all the damage. Be careful when prying the fence boards as you may be able to reuse them. Remove the rails and cut the new 2x4's to match the distance between the fence posts. Mount the 2x4 mounting brackets onto the posts using deck screws or 3inch nails for extra support the new rails. Nail or screw the rails into place. Put a grooved 2x4 on top of the rails for the lattice base. Attach fence boards on the rails. Use a spacer to get the right distance between the boards. Stand back look at your handy work as your fence looks as good as new. Here is a checklist for the tools you will need to complete this project.